Home » Blog » Top 5 Healthy Holiday Gifts! As the holidays approach, we often wonder, “What can I give the people I love to really express that I care for them?” We want to find something unique, practical, something that shows our love and appreciation. Oftentimes the gifts we give and receive only offer short-term benefits such as a piece of clothing, a new gadget or piece of jewelry. Giving a Gift of Health, and helping those that we love create healthy habits, can have a lasting impact. This Year, why not Give the Most Valuable Gift that Will Last a Lifetime? Gift cards are now available on The Essential Market. 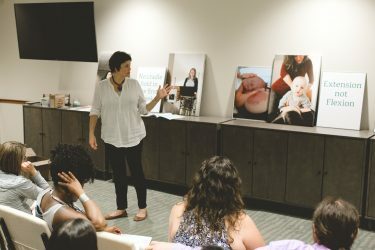 The Essential Market was created by the Midwives of NJ to provide our clients and friends the opportunity to easily locate all of the products recommended for preconception, pregnancy, labor & delivery, children’s health and family health. Chlorella- The Midwives of New Jersey currently recommend Chlorella for several different purposes. Chlorella is a single-cell, fresh water green microalgae that is loaded with nutrients. It may support natural detoxification, digestive health, immune function, inflammation reduction, antioxidant function, estrogen balance, cholesterol metabolism, and circulation. It is one of the top nutrients for absorption of toxic metals. Probiotics- The first and the most overlooked reason that our digestive tracts are critical to our health is that approximately 80 percent of our entire immune system is located in our digestive tract! Probiotics are bacteria that line the digestive tract and support the body’s ability to absorb nutrients and fight infection. The Essential Market carries probiotics for infants, children, and adults. Multi-Vitamins and Minerals- There’s simply no doubt about it, we all need to be intentional about eating an organic, whole food diet, however sometimes diet alone isn’t enough to give our bodies all that it needs, especially during pregnancy. Quality supplementation is the best insurance to fill the gaps in a healthy diet. Omega-3 fatty acids– Omega-3 fats, often found in fish oil, taken by a mother during pregnancy may play a role in the development of her baby’s brain and eye health before birth and even during early childhood. Great skin and hair is another benefit for mom! Essential Oils– Essential oils have been used for thousands of years to naturally support health. Help that special someone get started with this Intro Trio Kit of Lemon, Lavender and Peppermint essential oils. Looking to give experiences over products? Perhaps a gift card for one of our programs offered through Women’s Wellness would be a better a better fit. Wishing you health and happiness this holiday season and always! Demand Women's Right to Choose Birth Options. Sign Now!